This week, we dedicated our time to some important finishing touches. Ever since we started working on Diptych, highlighting the transparency and inner essence of wood has been a key element of the project. 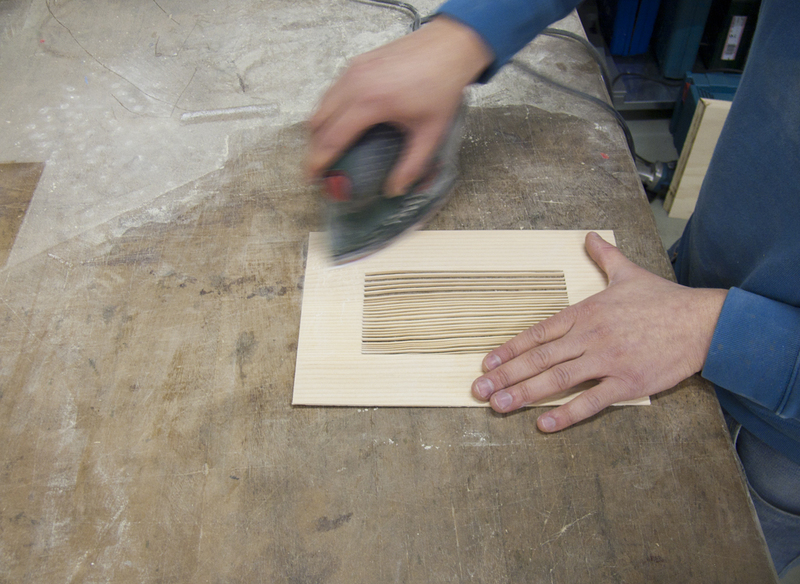 To bring out the grain in our Douglas fir wood, we decided to sand the wood and treat it with a hardwax oil. Not only does this enhance the beauty of the annual ring patterns, it also protects the material from stains and dust. As we showed you in a previous post, the wood of our poster designs had managed to bend a little due to the climate in Lex's studio. 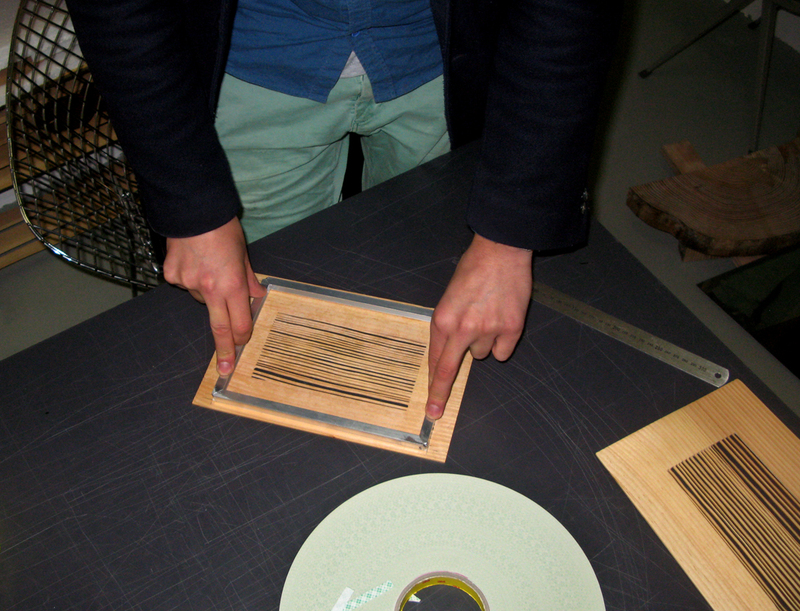 At metal workshop Tilburgs Noltes in Hilversum we had some aluminum frames made to attach at the back of the posters. These frames straighten the wood and at the same time provide a construction to hang the objects on a wall. Our last obstacles have been tackled – we are ready for Object Rotterdam.